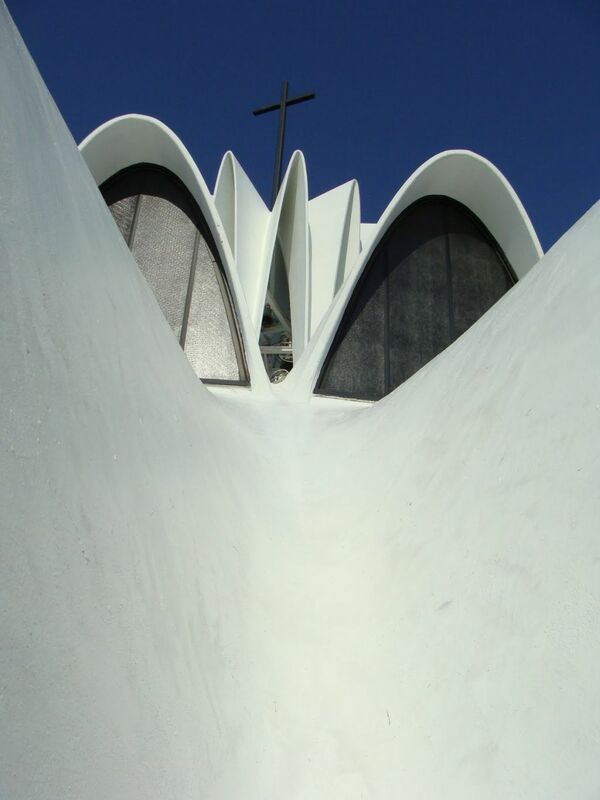 What makes St. Louis’s architecture so stunning, and worthy of documentation? In many ways, St. Louis followed all of the trends of stylistic change that every American city saw over the last two-hundred years. St. Louis does not perhaps have any named style of architecture of its own, but its interpretation of universal American and Western civilization’s architectural evolution is what makes the city’s built environment so special. The styles below represent my personal interpretation of St. Louis architecture; it frequently adheres to the canonical definition of styles in St. Louis, but occasionally veers off into my own definitions of style. They appear below in roughly chronological order, though many styles frequently overlap or continue in sporadic pockets after their main period of stylistic influence. 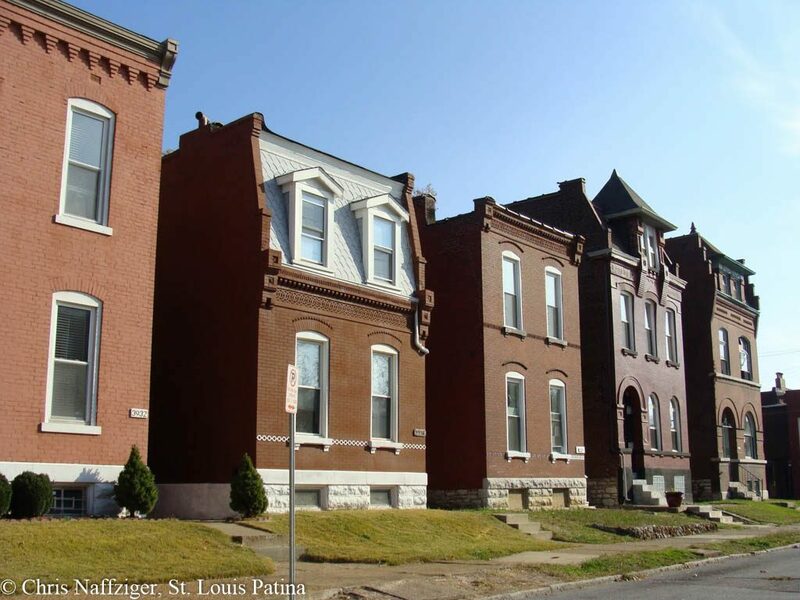 I have given a blanket label for several early styles of architecture in St. Louis’s early history, particularly in the Late Eighteenth and Early Nineteenth Centuries that defy simple and easy definitions. Showing the influence of Spanish, French and English architecture, these buildings were often built by craftsmen without formal architectural training or education. They are also some of the oldest buildings in St. Louis, such as the Old Bonhomme Church. I have divided them up into three categories that will all be labeled with the admittedly inadequate term “Early Vernacular.” These three styles do not exist in great enough quantity to merit their own tags. 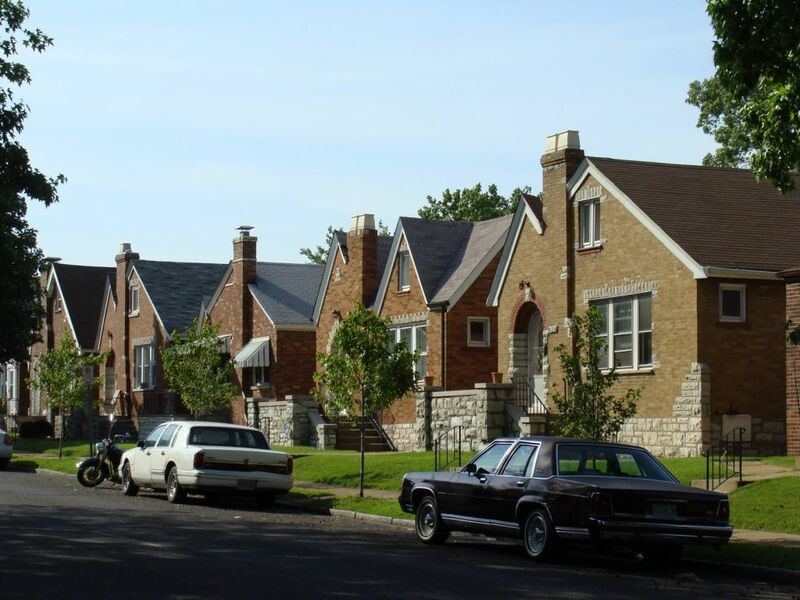 Early Vernacular is the architecture of necessity, built by men and women of no formal architectural training in the early decades of settlement of many neighborhoods and St. Louis itself. These buildings exist in relative obscurity, scattered throughout the city and surrounding region, often surrounded by more august buildings with more professional designs. But many of these buildings are elegant in their simplicity, even if they lack sophisticated ornament. The houses of Stein’s Row of southern Carondelet are a perfect example. French Colonial architecture represents the architecture of the earliest settlers of the Mississippi Valley around St. Louis. 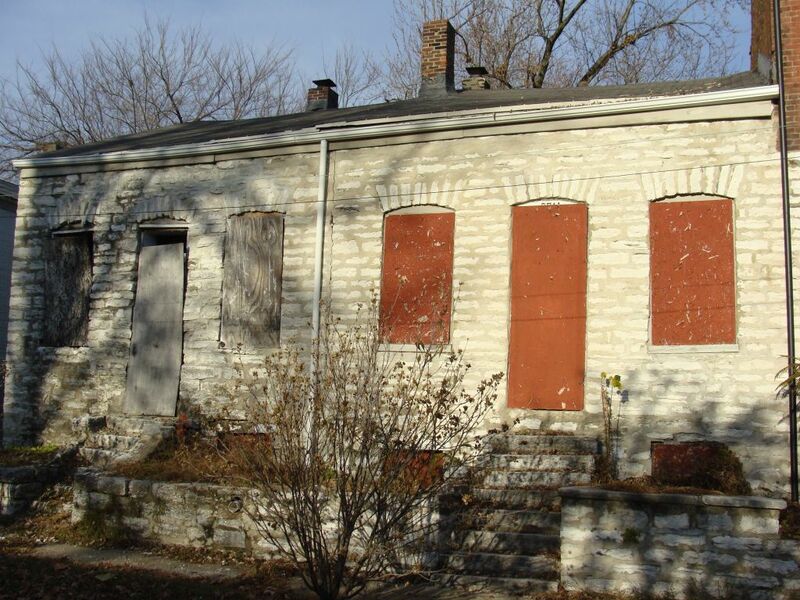 While French colonial architecture has disappeared from St. Louis, it still exists in nearby communities such as Cahokia, Illinois and Ste. Genevieve, Missouri. Typified by poteaux-en-terre construction, where the timbers are placed vertically into the ground and then plastered to fill the gaps in between, the French often includes large wrap-around porches and roofs with relatively low roof pitches. The Federalist style is a catch-all term not often used in the parlance of St. Louis architecture, but is used in other parts of the country, particularly the East Coast. It can be best described as the vernacular architectural style of America in the early decades of the country after the Revolutionary War. 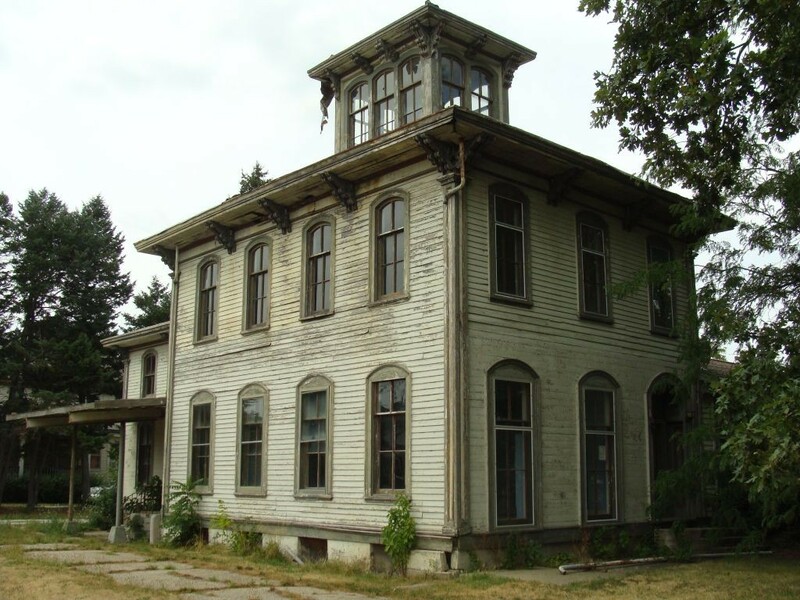 It is a more stripped-down, humble style with Neo-Classical leanings (see below), but in general is typified by sparse ornament and a pitched roof facing away from the front elevation. Often, the side walls feature double chimneys in the curtain wall of the building. Perhaps this style’s inclusion shows the influence of my time on the East Coast; many St. Louis architectural historians reject this architectural style’s existence in St. Louis. Neo-Classical, or sometimes spelled Neoclassical, architecture was a style that looks to the Ancient Greeks and particularly the Romans for inspiration. Often featuring temple pediments using the Classical Orders, this style of building was particularly popular in the first decades of the United States, as builders looked to emulate the architecture of the original democratic states and move away from styles associated with monarchic Europe, such as the Rococo style. Neoclassical architecture was also inspired by the discovery of Herculaneum and Pompeii, and a scientific interest spurred by the Enlightenment where architects sought to design “accurate” or “pure” buildings based off carefully observed Classical models. 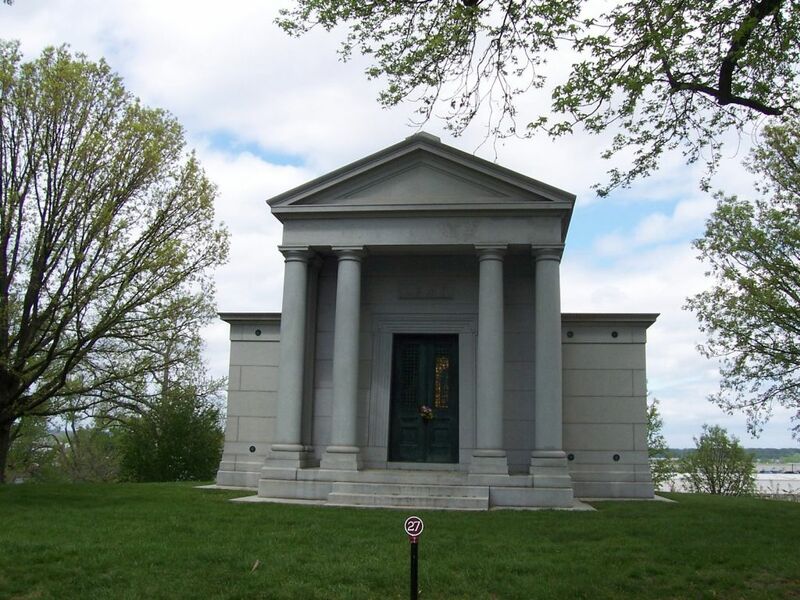 While the style was most popular two hundred years ago, the style is still used in architecture, and many great examples, such as the Lemp Mausoleum seen above, are found in cemeteries. Greek Revival is closely related to the Neoclassical style, but there are subtle nuances to the style that differentiates it from that other more heavily Roman-inspired style. 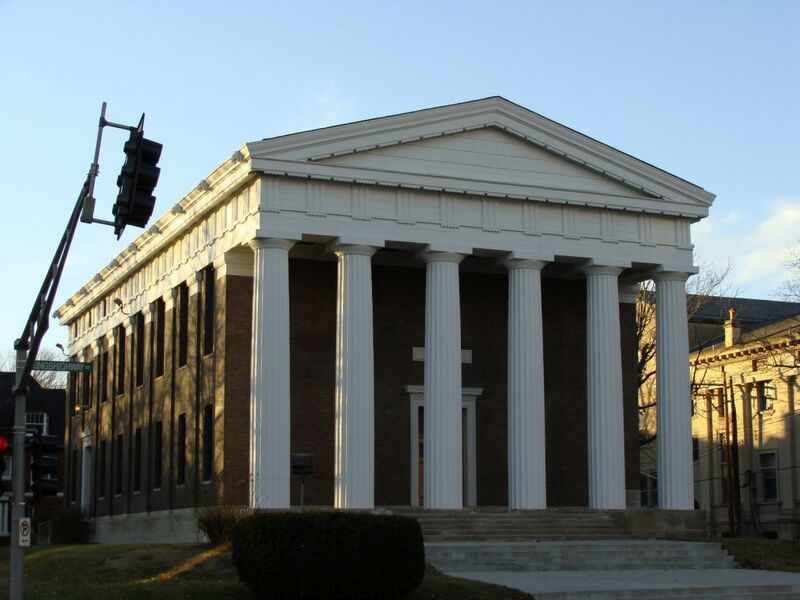 As can be seen by the church on Kingshighway above, the Greek Revival style prefers the Doric Style and Greek, not Roman, architectural proportions. Likewise, architects often sought to replicate the appearance of a Greek temple, such as can be seen as Paestum. The Italianate Style is influenced by the country villas of wealthy landowners in Italy, with elements of classical and Renaissance architecture indirectly informing this style. Featuring elaborate corbels below the roofline, as well as a prominent central cupola and long, slender windows, this style was also adapted for much more modest houses than the example above from El Paso, Illinois. The style usually utilizes wood frame construction in the country and small towns, and brick or stone in an urban environment. This style was popular from the mid to late Nineteenth Century in America, and is likewise unique to this country in this form. The Second Empire style seeks to capture the essence of French architecture that Americans felt was popular during the so-called Second Empire of Napoleon III. Its most distinctive feature, and makes this style easy to spot, is the presence of a Mansard roof, where a low pitched roof terminates in a broad, sweeping, almost vertical roof often punctuated with dormers. Ironically, the hallmark of Second Empire style predates the Nineteenth Century by several centuries, having been originally designed by Jules-Hardouin Mansart, one of the architects of Louis XIV’s Versailles in the Seventeenth Century. 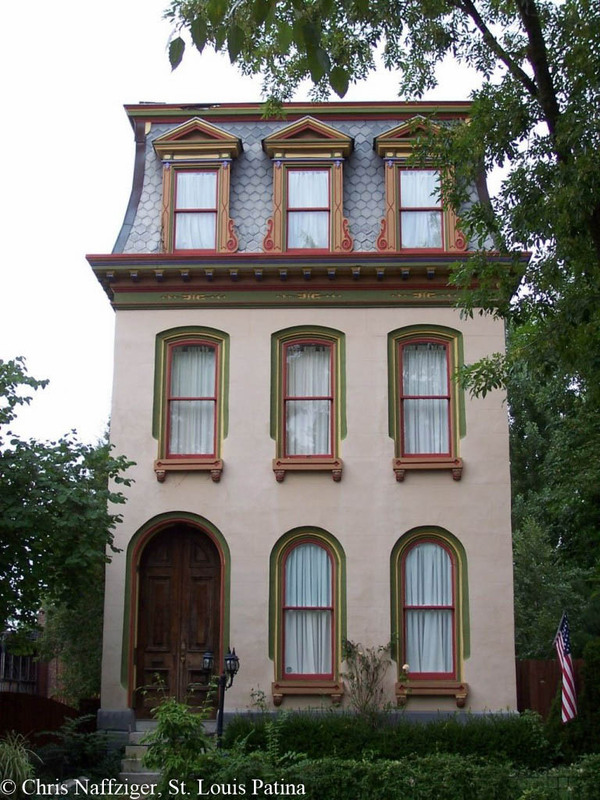 Large, elongated windows with curved tops also appear in this style, as exemplified as numerous examples in Lafayette Square and other neighborhoods. The style was popular from the mid to late Nineteenth Century. The Romanesque Revival, in part inspired by the great Boston architect Henry Hobson Richardson, sought to emulate the massive, hulking masses of churches built in Europe from the 11th to 13th Centuries. 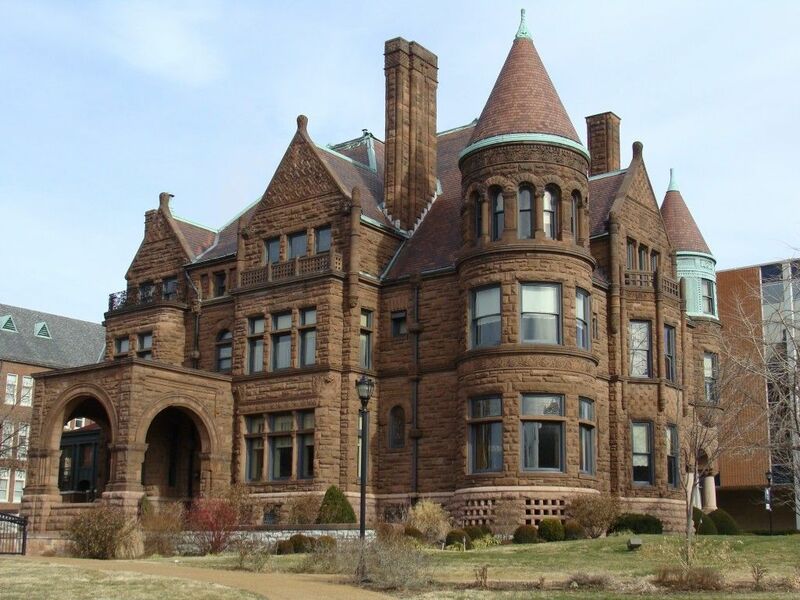 Featuring large curved Roman arches, round turrets, fanciful gargoyles and intricate sculpture based off of Romanesque architecture, the style usually is associated with the houses of the wealthy, such as the Cupples House, and churches. Logically, many German and other European immigrants left home worshiping at Romanesque churches, and the Romanesque Revival style sought to retain their European identity in their new houses of worship. It was most popular in the late Nineteenth Century. The Gothic Revival, popular throughout American history but especially in the late Nineteenth Century, provided European immigrants with a sense of familiarity to the churches they would have remembered in their home countries. In particular the Gothic, and its Revival style, features long, pointed arch windows filled with complex stain glass windows and intricate stone tracery, often produced by Emil Frei, and tall, vertiginous spires. The lofty groin vaults of the interior are frequently painted, as their European forebears often were. While French Gothic churches frequently featured flying buttresses projecting out from their sides, the Gothic Revival churches in St. Louis more closely follow the German school of that style, with tall, uniform vaults between the aisles and nave, and muted transepts with no clerestory windows and engaged buttresses. 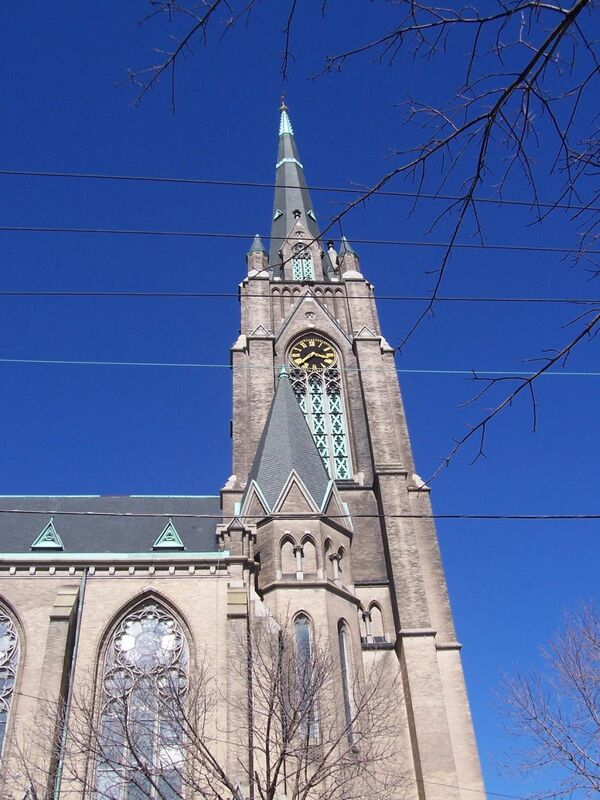 St. Francis de Sales Oratory is a perfect example of this German hallkirche design, towering over Gravois Avenue. 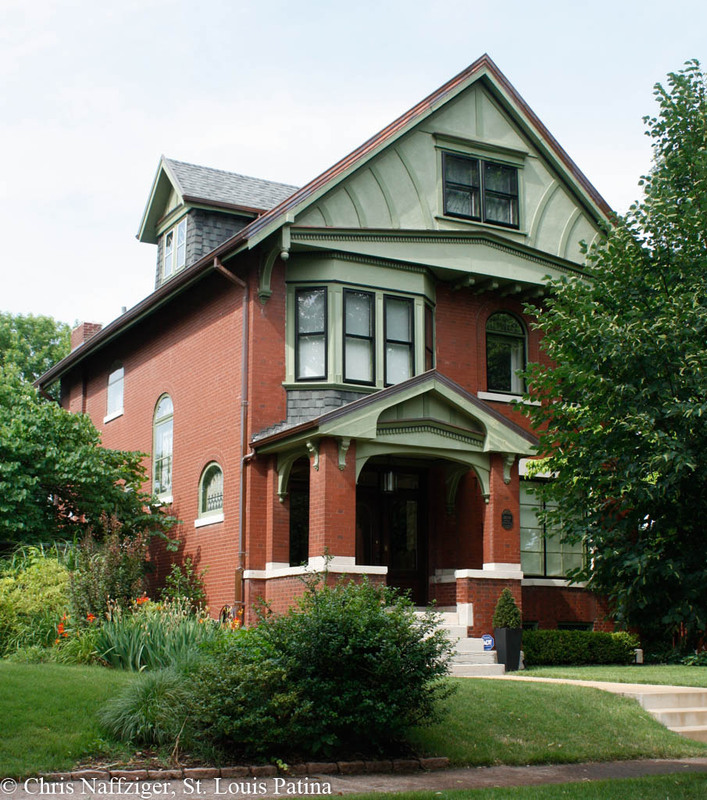 The Queen Anne Style, while not as common in St. Louis city proper due to its wood frame construction that was in violation of the brick building code, still appears throughout the Mid West and some city neighborhoods such as Clifton Heights. 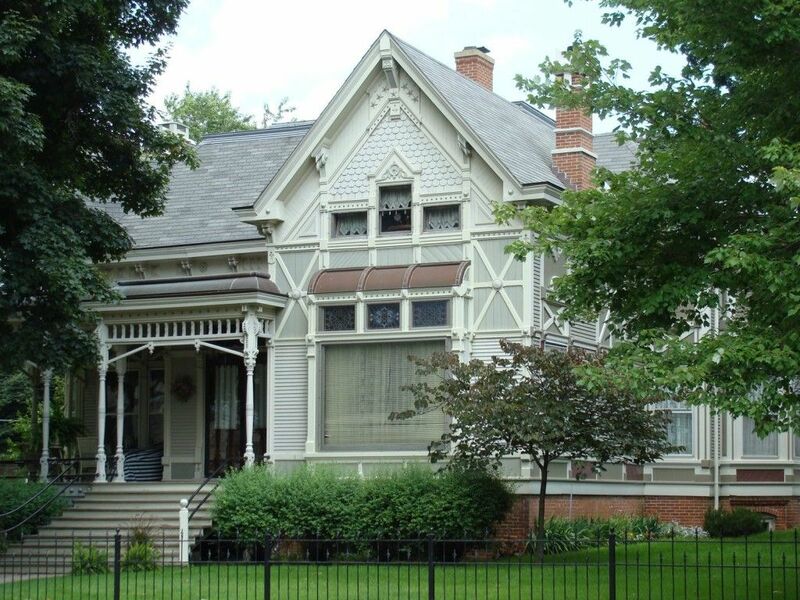 Often simply, and erroneously called “Victorian style,” the Queen Anne possesses intricate and complex millwork on its porches and rooflines (facilitated by the introduction of machine hewn, and relatively inexpensive, woodwork), as well as “fish scales” in the eaves below the roof. Breaking out of the standard square box, the Queen Ann also features complex towers, bays and roofs, punctuated by picturesque placement of many chimneys, such as the example above in Washington, Illinois. The more complex, ornate and fanciful the better, this style flourished in the late Nineteenth Century. The Chicago School, pioneered by Louis Sullivan of Chicago, graced St. Louis with four of his designs; three survive: the Wainwright Building, Wainwright Mausoleum and the slightly modified Union Trust Building, seen above. Simply put, Sullivan sought to create a new style befitting the technological and engineering advancement of the skyscraper, then brand new at the turn of the Twentieth Century; previous architects had relied on the Gothic or Romanesque Revival Styles in their plans. 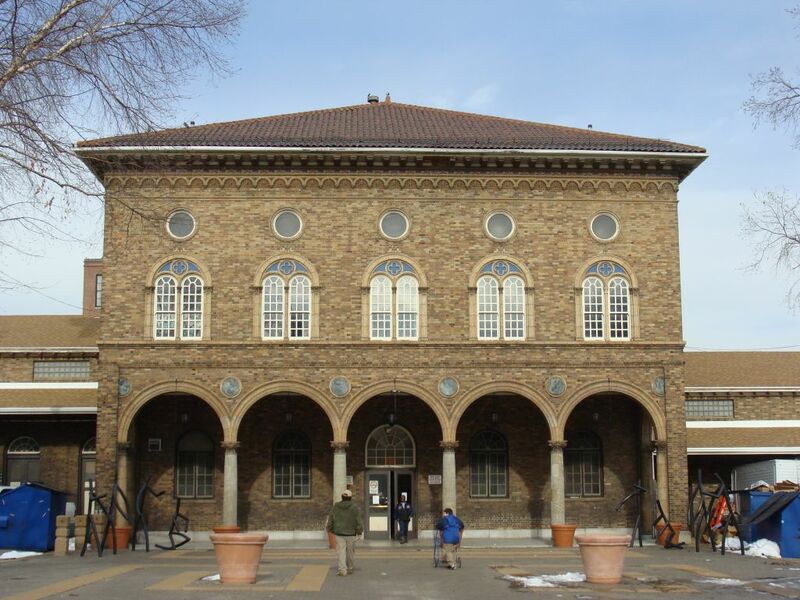 Typical of the Chicago School, Sullivan’s and his followers’ designs feature vertical lines that cut across the horizontal bands of terracotta or brick; the fenestration is orderly and repeating with large plate glass utilized. Likewise, Sullivan sought to create new ornament, divorced from revival styles, such as can be seen on the cornice of the Union Trust; delicate filigree, certainly inspired by the Art Nouveau style, cast in stone heralded a new day in architectural decoration. This style, invented by myself and Michael Allen one night almost as a joke, is perhaps the most difficult style to define: Early Twentieth Century Eclectic represents the playful, eclectic style(s) of architecture prominent at the beginning of the Twentieth Century. While most Nineteenth Century revival styles sought to make a faithful, if Americanized replica of an earlier, historic European style, the eclectic style instead seeks to combine together the most interesting elements of Classical, Gothic, Spanish and Italian influences into one building. A building of this style will often have terracotta tiles roofs, elegant classical columns, French or Italian massing, idiosyncratic corner towers, or English Georgian details. The Arts and Crafts Style flourished in the first decades of the Twentieth Century, and emphasized more primitive, simple means of decoration in response to the more elaborate revival styles of the same period. Clean, straight lines with strong geometric designs that suggest a humble English cottage, Arts and Crafts used exposed timber ceilings, wrought iron detailing and simple finishes. Most famous for its one and a half story bungalows with rough wood roof and wall shingles, this style still influences contemporary design. Renaissance Revival architecture became popular at the beginning of the Twentieth Century, though earlier examples exist in places around America. Inspired by the architecture of Filippo Brunelleschi and his great civic and religious building projects in Florence, Italy, its architecture features classical columns and arcades, buff brick and ornate or plain roundels in between the arches. Broad, low slung roofs with terracotta tiles also predominate. While this revival style focuses mostly on Fifteenth Century Renaissance architecture as its source, the Sixteenth Century Renaissance influence can also appear. Perhaps the most famous example is Soulard Market, but the Roman Catholic churches of southwest St. Louis also illustrate the beauty of this style. A minor style, and really more of an extension of Early Twentieth Century Eclecticism, Mannerist Revival appears in St. Louis in small numbers, but its features are distinct enough to warrant its own entry. Mannerist architecture in Europe formed out of the late building designs of Michelangelo’s New Sacristy and Laurentian Library. It is in many ways also a branch off of Renaissance architecture, with its classical motifs and decorative schemes. But as the Long School above illustrates, Michelangelo, and his Northern Mannerist counterparts bend and adapt architecture to create a new idiosyncratic style, which the Mannerist Revival attempts to replicate. Often sharing elements with Spanish Revival architecture, I still felt the need to delineate the stylistic differences of what I call Baroque Revival. Heavily influenced by the architecture of the Italian Seventeenth Century architects Gianlorenzo Bernini and Francesco Borromini. Pushing past the Mannerist style, Baroque architecture further breaks the rules of Classical architecture; the appearance of twisted Solomonic columns and broken, articulated pediments popularized by Bernini, as well as the burst of florid detail and decorative motifs are also hallmarks of the style. Much Spanish Revival architecture exhibits characteristics of the Baroque Revival. Here, the front portal of Shenandoah Elementary School demonstrates the continued influence of Bernini and Borromini. In some ways a residential and commercial version of the more ecclesiastic Gothic Revival, Tudor Revival takes its name from the dynasty of kings and queens spanning the Sixteenth and Seventeenth Centuries in England. Tudor Revival architecture features tall roof lines that are often asymmetrical in composition, leaded windows, Gothic arch doorways, half timber construction, and idiosyncratic rubble stone accent walls intimating castle ruins, as well as asymmetrically placed chimneys of varying heights.. The house above across from Carondelet Park is a perfect example of Tudor Revival. Spanish Revival architecture attempts, like many Early Twentieth Century revival styles, to emulate the feeling of the architecture of Spain and its former colonies. Often incorporating elements of Moorish, Mannerist and Baroque Revival styles, Spanish Revival features tan brick facades, terracotta roof tiles and other elements such as terracotta trim accents and doorways. 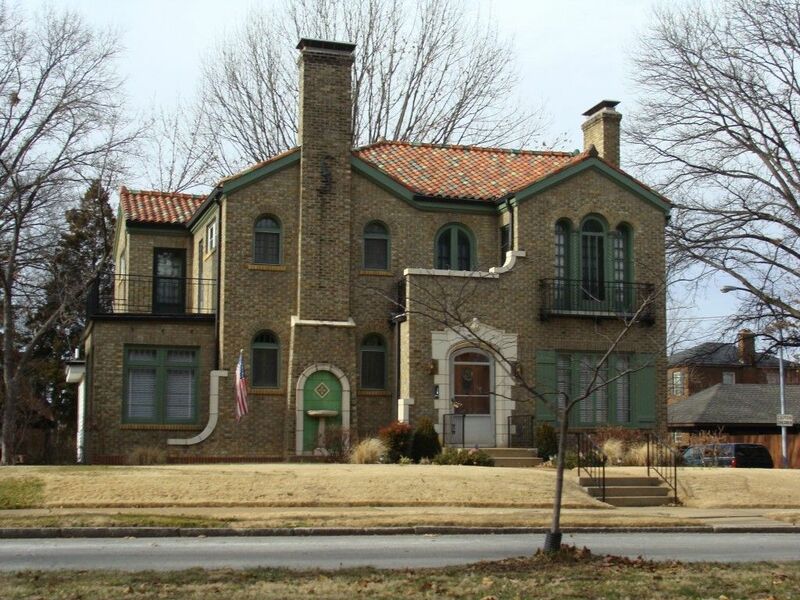 This house, on the north side of Carondelet Park, exemplifies this style. Inspired by Americans’ perennial interest in Ancient Egypt, as well as groundbreaking new excavations and discoveries such as the tomb of Tutankhamen, the Egyptian Revival style focused on mimicking the temples of Karnak and other ancient sites. Featuring lotus capitals, tapered doorways and other Egyptian motifs such as fake hieroglyphics, Egyptian Revival buildings often function as tombs or other private buildings such as Masonic lodges and other fraternal organizations. Interest in Orientalism in America has existed for centuries, but in the Early Twentieth Century, this interest manifested itself in the so-called Moorish Revival Style. Perhaps directly influenced by the Muslim architecture of Spain, in reality it can reflect the influence of that religion’s diverse range of styles from throughout the world. But in St. Louis, the style most closely resembles famous buildings such as the Alhambra in Grenada: arcades of pointed arches, massive use of glazed brick tile, often decorated with pseudo-Arabic lettering, and squat domes typical of Muslim architecture. Red brick is discarded, and the dark umber or tans common throughout St. Louis in the early Twentieth Century predominate. 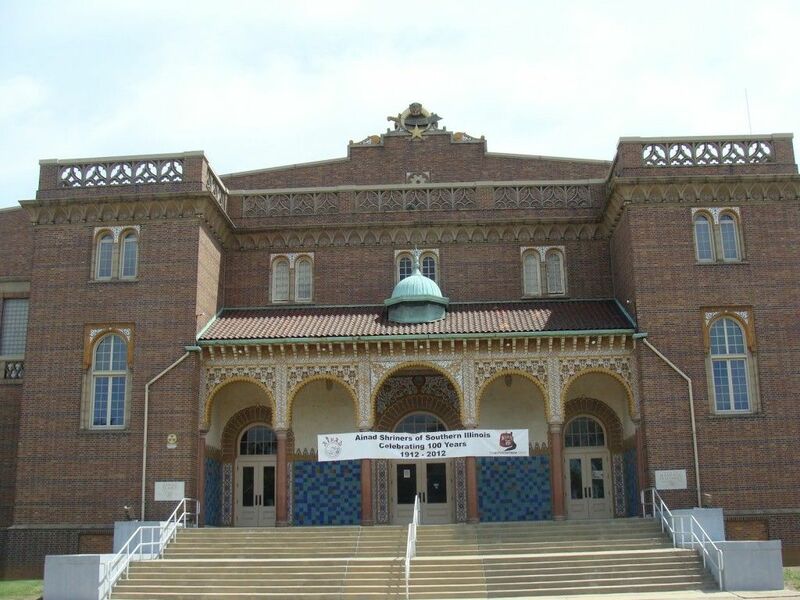 The Ainad Temple of East St. Louis is a prime example. The grand style of the last decade of the Nineteenth and the first decades of the Twentieth Century, the Beaux-Arts Style takes its name from the Ecole des Beaux-Arts in Paris, France. A style befitting America’s new confidence as the economic leader of the world, this style was a return to Classical models, rejecting the revival styles of the Nineteenth Century that were viewed as “old fashioned” and “too old Europe.” The Beaux-Arts Style is not merely Neoclassicism, but rather it takes its models from the huge monuments of Rome such as the Baths of Caracalla or the Basilica of Constantine and Maxentius, and combines it with the best of Renaissance architecture such as Michelangelo’s Farnese Palace. Later horribly dismissed by the Modernists, many great Beaux-Arts buildings were torn down; a report from the 1950’s in the archives of the Saint Louis Art Museum, itself a crowning achievement of the Beaux-Arts, stated that the building should be saved “merely for sentimental reasons.” The style’s rehabilitation has begun, and its buildings cherished for their contribution to the built environment of American cities. 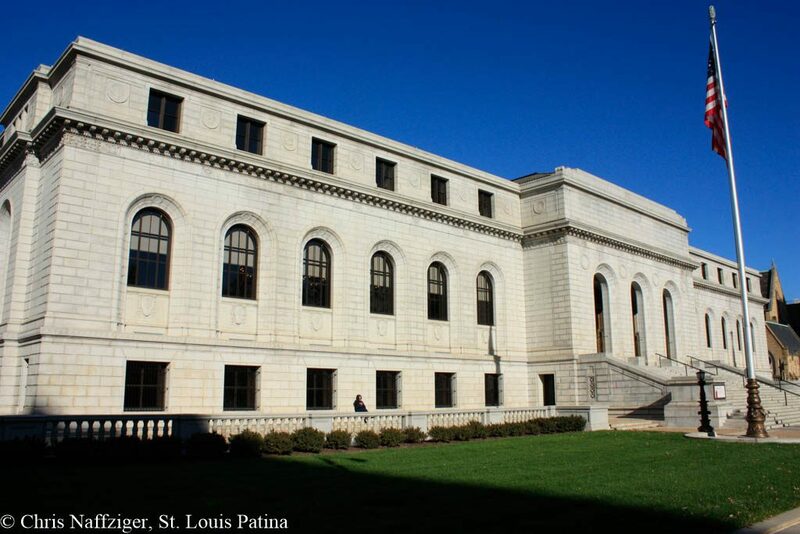 Cass Gilbert’s Saint Louis Art Museum and Central Library are prime examples of this style. The Art-Deco style is difficult to define. In many ways, it is traditional: using materials like stone, bronze, glass just as earlier styles have for millenia. But at the same time, it is completely revolutionary: while bronze and stone sculpture still appears, the compositions have changed; they are compressed, warped and manipulated in ways that are surprisingly successful and pleasing. Likewise, in external ornament, traditional motifs are not entirely abandoned, but they hidden, exaggerated and crafted out of new materials such as stainless steel. In many ways, this style is a predecessor to Modernism, but the playfulness and enjoyment of ornament, which Modernism rejects, remains a critical element of Art-Deco architecture and design. 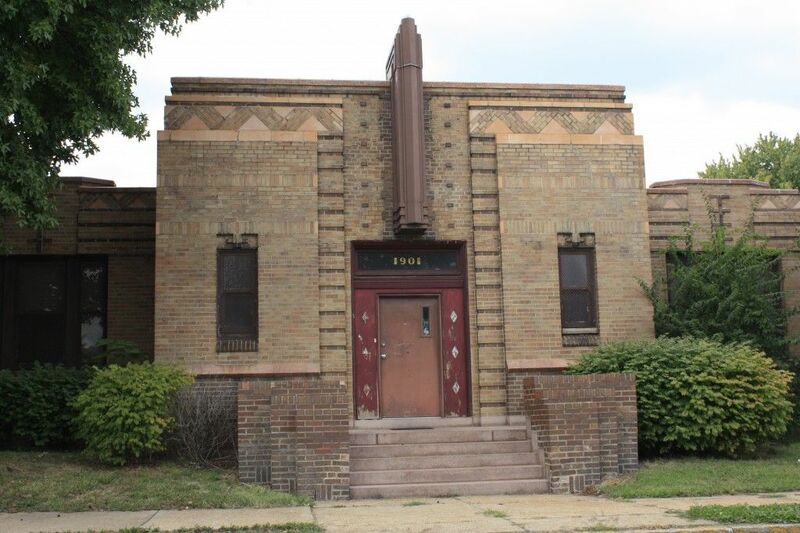 It is also eclectic, borrowing motifs from civilizations and sources such as Egypt and ancient Mesopotamia.The nine police precincts built by the City of St. Louis epitomize the beauty of Art-Deco, such as the former police station seen above in Hyde Park. An American derivative of the Art-Deco, Streamline Moderne takes the the aerodynamic lines of the automobile and airplane as its inspiration. Glass brick, chrome detailing, Vitrolite and other new materials feature in the creation of the style. Streamline Moderne was used for updating older buildings’ storefronts, but it also was used in the creation of new building types increasingly popular in America: bus stations, roadside diners and theaters from the Golden Age of Cinema before World War II. Renewed interest in the architecture of Colonial America, itself an English version of the Rococo style in Europe was spurred by the renovation of Mt. Vernon, the northern Virginia plantation of George Washington and the original capital of Virginia, Williamsburg. The Colonial Revival style features simple elevations, with relatively little ornament that is influenced by Thomas Chippendale of England. Also, Colonial Revival frequently borrows the form of Mt. Vernon in commercial structures. The style has remained popular for much of the last century. The above example faces Carondelet Park and gives a sense of Colonial Revival’s understated elegance. 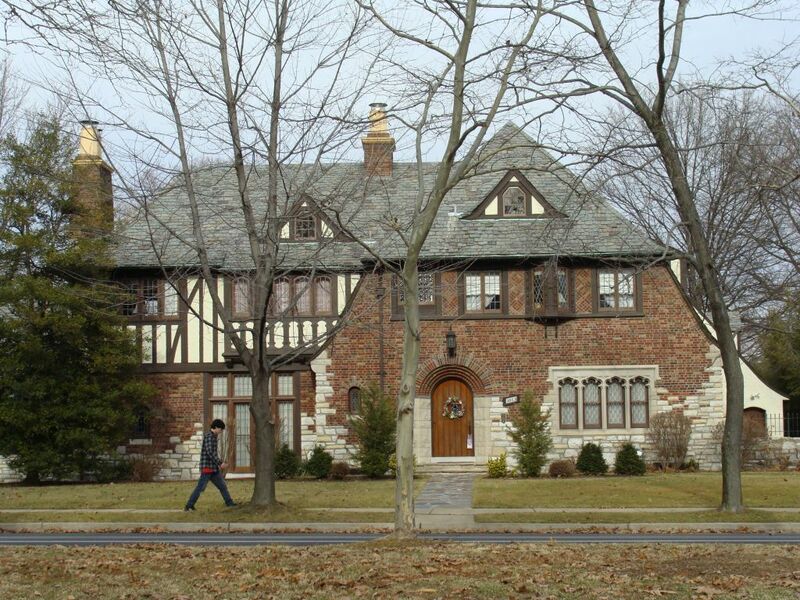 The Gingerbread Style, unique to St. Louis though variants exist in other cities, could best be described as a playful, rustic Twentieth Century version of Tudor Revival. But while Tudor Revival focuses on the half timber construction of Sixteenth Century England, a myriad different tones of brick feature in the Gingerbread Style. 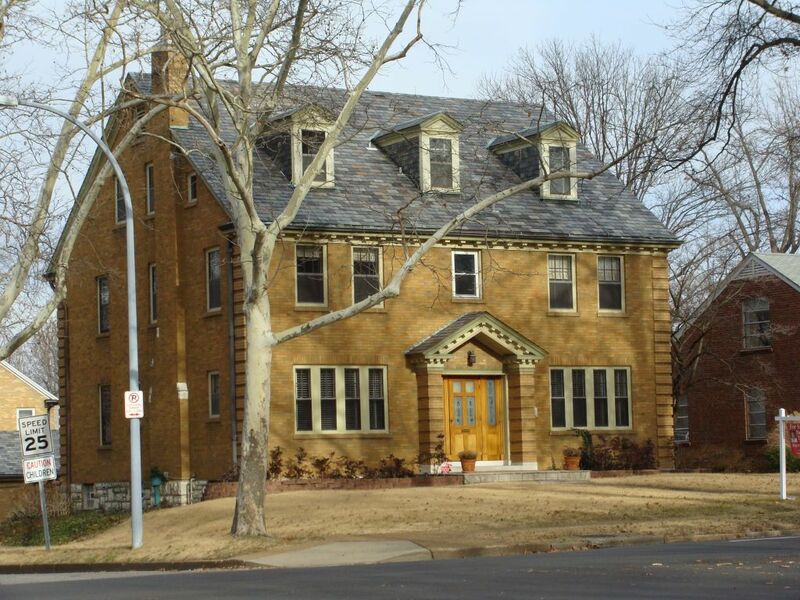 These houses were built in the “suburban” areas of St. Louis City and as in-fill in more established neighborhoods, and featured the latest domestic technology of the time. Renowned for their unique details, often creating the appearance of miniature castles, each house seems to be one-of-a-kind. These houses are along Meramec Avenue in Dutchtown. Modernism, arising out of the architecture schools of Germany and France, was a response to the revival styles of the Nineteenth and early Twentieth Centuries. Seeking to reject the past’s hold on architecture of the time, architects such as Le Corbusier and Ludwig Mies van der Rohe designed buildings that emphasized the structural capabilities of the new buildings materials of the Industrial Revolution. 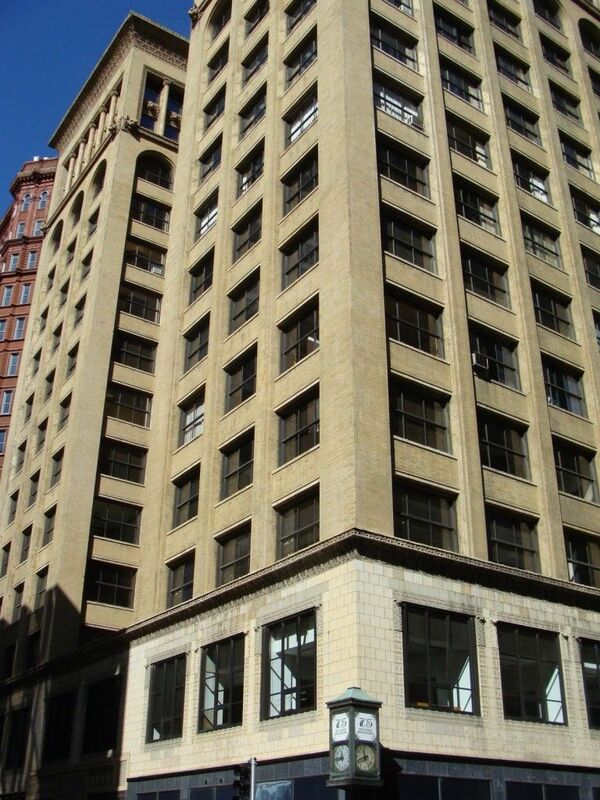 Buildings such as the Priory in St. Louis County stress the dynamic structural capabilities of poured concrete, or in a skyscraper such as the Laclede Gas Building in Downtown, the wall becomes transparent, showing that the steel skeleton has rendered structural masonry obsolete. Post-Modernism seeks to capture the historic past of Western architecture, but it is still influenced by its Modernist parent. Many Post-Modernist buildings, particularly skyscrapers, attempt to address the critics of Modernism by adding more detail, often accented with multi-colored panels and more complicated footprints that reject the glass boxes of Ludwig Mies van der Rohe. Conversely, Post-Modernism on a smaller scale seeks to capture the historicity and quaintness of the past, often with severely eclectic results. 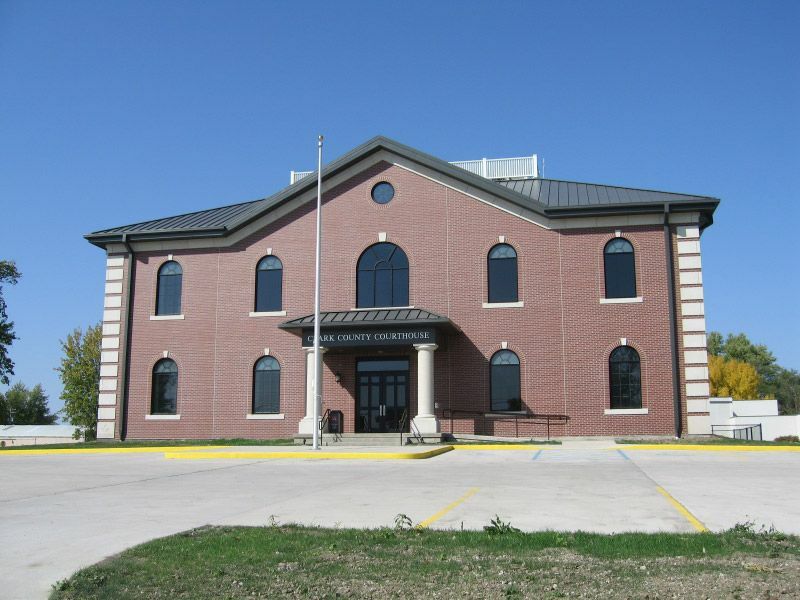 The Kahoka Courthouse above represents this newest trend in architecture. Why not include an Art Deco police station, or the Shell Building to show Art Deco. Lots of choices around. Excellent overview of the architecture in St. Louis. I had identified our new property on Russell as early 20th century Italianate, although my period may not fit with Italianate. 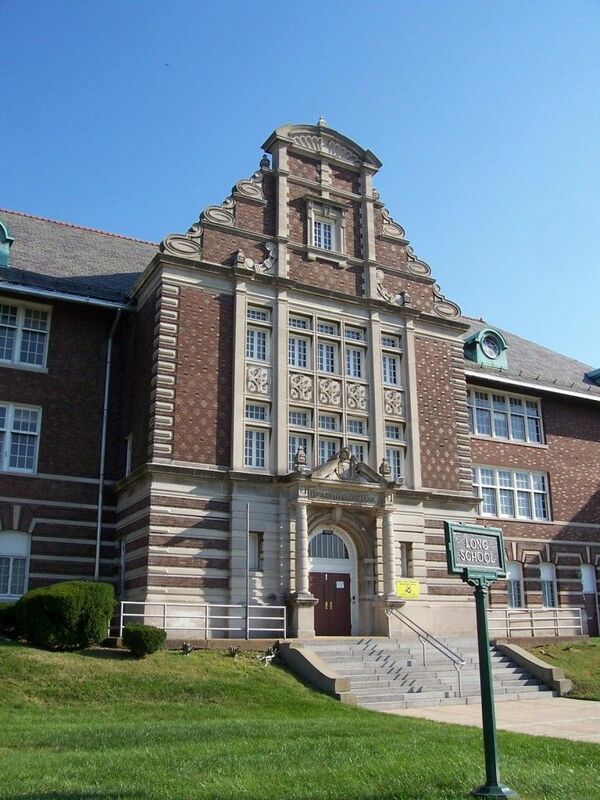 I’ve worked as an in house architect for the St. Louis Public Schools for almost 20 years. We still worked off the original ink and linen dwgs. that could be 100 years old. I can help you in any research of any of the SLPS schools or Wm. Ittner. Also I would propose another type of little known architecture style-Spanish Cherigaresk (sic) (silver carving) as represented in Kennard School @ 5031 Potomac St. in South St. Louis. SLPS’s cover girl, check it out. Richie, thanks for reminding me of the Churrigueresque style–I would humbly include that under Baroque Revival. But the beauty of that Latin American version of the style is indeed very beautiful. 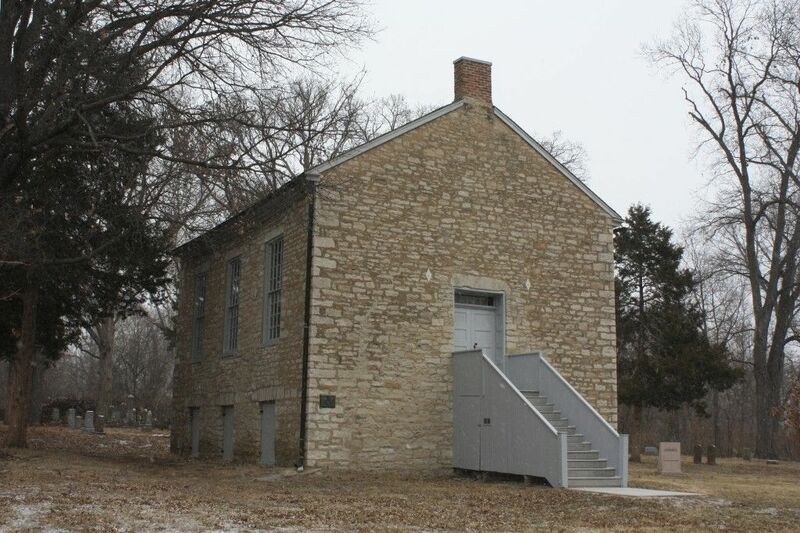 I attended Public School – Marquette Elementary School – located in the 4000 block of McPherson but it has been razed. Would you possibly have a photo of this school before it was demolished? I would truly appreciate it for nostalgic reasons. Bonnie, it looks like the archives of the Missouri History Museum has a bunch of photographs of Marquette. You should visit them to see their photos! That reminds me a lot of St. James Palace in London, sort of a Tudor Revival style house, a period that sits between the Gothic and the Northern Renaissance. It’s a beautiful house! Inisfada in Manhasset NY has a very similar style. That is a beautiful house, Matthew! And a great example of Tudor Revival. Interesting. It does have many similarities! Thank you for the insight! I just stumbled across your website, and your photos of abandoned buildings are fascinating. I’m doing some research, and I’m having trouble figuring out the mansions along the north side of Forest Park along Lindell. I’m trying to understand what their architectural style would be called and what the elements of that style would be so that I can more accurately describe them. I believe many of these houses were built in the 20s, and they have that almost blocky look to them. I’m particularly curious about the house on the very east end of Lindell simply because it really exemplifies the architectural style I’m interested in. Do you have any thoughts on this? Molly, they are very eclectic houses; I would recommend the recently published book on Maritz and Young, which was the architecture firm that designed many of those houses. As a design student researching the architectural heritage of St. Louis, this is so valuable to me! Thanks for the great piece! 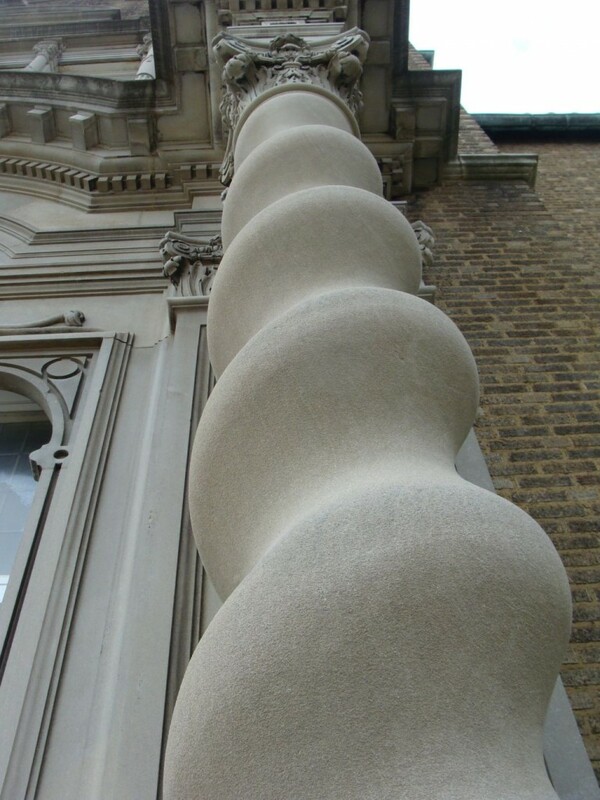 Thanks for sharing your wealth of knowledge of architectural styles with us!, Chris. What style does the standard boxy red brick 2 and 4-family flats that predominate around the city fall into? The Colonial Revival home dhown was a childhood friend of mine. I remember it had multiple staircases to the top floor. The Colonial Revival home shown was a childhood friend of mine. I remember it had multiple staircases to the top floor. St Louis is truly of the era when America was great and one of the architectural wonders of the United States but if the city doesn’t do something soon, as so much of it makes parts of Detroit look pretty, the gems will be lost. City leaders should be ashamed and need to create real incentives for people to come back into these neighborhoods that look like house graveyards now. St Louis needs an architectural tour by bus or something to bring daily attention to the gems! Great Stuff. There were four large 3 story brick homes connected at 3933-3939 Cook and Jones avenues in the Ville. They were the only 3 story buildings in the entire block. Are there any resources to obtain photos of these buildings, which were demolished in the 1990’s?